Brandy and rum come together in spectacular fashion in the Embassy cocktail. It's a wonderful classic drink recipe from the 1930s that was featured at Hollywood's Embassy Club. The private venue was designed by restaurateur Adolph "Eddie" Brandstatter as a respite for movie stars who wanted a quiet night out without swarms of fans. Apparently, it backfired because business dropped considerably at his most popular establishment, the Café Montmartre, which is credited with starting the entire Hollywood nightclub scene. The cocktail itself is almost identical to the Boston sidecar with just a couple differences. Both cocktails include brandy and rum, though the Embassy specifically calls for Jamaican rum rather light rum, as well as Cointreau. The three spirits are poured equally in both recipes and the lime juice remains the same. This drink does include bitters and a lime wedge, where the other does not. They're small changes and it's interesting to compare the two cocktails to experience their impact. In a cocktail shaker filled with ice, pour the brandy, rum, Cointreau, lime juice, and bitters. 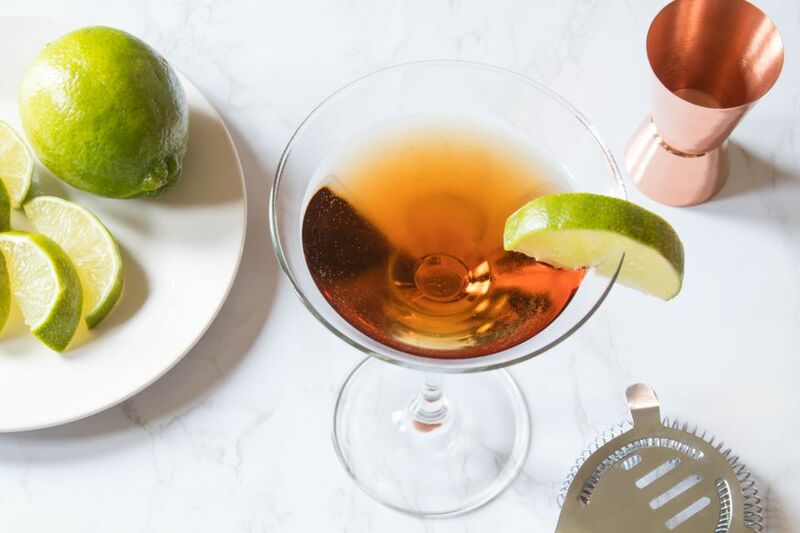 Strain into a chilled cocktail glass and garnish with a lime wedge. Jamaican rum is known to be a bold, flavorful, and heavy style that's often made in pot stills and more tightly regulated than most rum. It's definitely worth pouring in the Embassy cocktail, so look for brands like Appleton Estate, Hampden, J Wray and Nephew, and Worthy Park. The brandy you pour should be of equal quality to the rum, though it doesn't have to be the really good stuff. A nice V.S. or V.S.O.P. will do just fine here and in any brandy cocktail. Cointreau is a premium brand of triple sec and if you're going to use a substitute, make sure it's of similar quality. Many of the least expensive triple sec options are too syrupy for a cocktail like this. Fresh lime juice will finish this cocktail off perfectly. The average lime should yield about 1/2 ounce to 1 ounce of juice, so one fruit will be enough for one or two drinks. How Strong Is an Embassy Cocktail? Whenever you come across a cocktail that's made almost entirely of liquor, you should expect it to be pretty strong. The Embassy definitely falls into that category. Cointreau is an 80-proof liqueur and if you were to pour brandy and rum of the same strength, this drink's alcohol content would be around 28 percent ABV (56 proof). That's typical of martini-style drinks and you will feel the effects after a couple of rounds.